I did not want to think about, talk about, or write about Rachel Dolezal ever again. While many people have been highly entertained by the story of a woman who passed herself off for almost a decade as a black woman, even rising to the head of the Spokane chapter of the NAACP, before being “outed” during a TV interview by KXLY reporter Jeff Humphrey as white, as later confirmed by her white parents, I found little amusement in her continued spotlight. When the story first broke in June 2015, I was approached by more editors in a week than I had heard from in two months. They were all looking for “fresh takes” on the Dolezal scandal from the very people whose identity had now been put up for debate—black women. I wrote two pieces on Dolezal for two different websites, mostly focused not on her, but on the lack of understanding of black women’s identity that was causing the conversation about Dolezal to become more and more painful for so many black women. 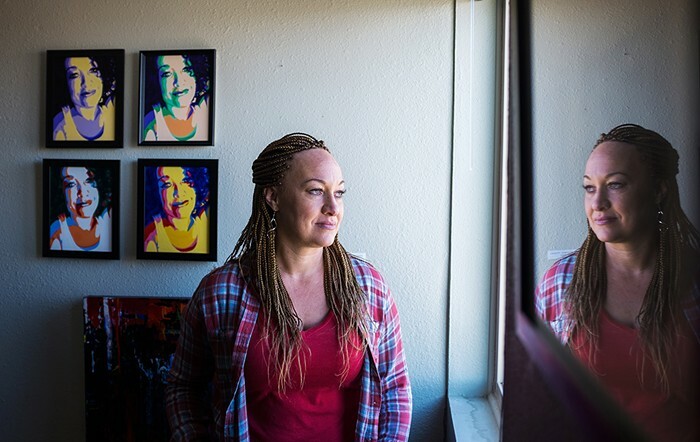 After a few weeks of media obsession, I—and most of the other black women I knew—was completely done with Rachel Dolezal. This entry was posted	on Wednesday, April 19th, 2017 at 16:37Z	and is filed under Articles, Interviews, Media Archive, Passing, United States. You can follow any responses to this entry through the RSS 2.0 feed. Both comments and pings are currently closed.